A more effective therapy for mesothelioma patients may be coming closer to reality now that scientists have more positively identified the precise protein that causes many cancer patients to develop a resistance to chemotherapy. A team of scientists at the Fred Hutchinson Cancer Research Center in Seattle believe that the gene which makes the protein becomes genetically damaged by chemotherapy and subsequently stimulates more cancer growth. In essence, the chemotherapy that was designed to kill the cancer inadvertently can encourage cancer growth, according to the recent study published this month in Nature Medicine. Mesothelioma is a cancer caused by exposure to asbestos. It has no cure, although some survivors have experienced remission. The standard treatment is a multimodal approach that typically includes surgery, chemotherapy and radiation, but it has remained relatively ineffective at curing the cancer. The researchers say that finding a way to block this genetic damage should lead to significantly improved effectiveness of the chemotherapy. The team of researchers, led by senior author Peter Nelson, M.D., of the Hutchinson Center and Human Biology Division, examined cancer cells from breast, ovarian and prostate patients. They believe the findings will translate to other cancers, particularly those that have metastasized, like mesothelioma often does. Researchers found that the genetic damaged done by chemotherapy produces a protein called WNT16B, at a 30-times increase, which sparks the development of more cancer. Researchers knew that WNT genes were key to the growth of both normal and cancerous cells, but this study revealed that they also play a role in promoting treatment resistance. “Completely unexpected,” Nelson said of the WNT16B relationship. Nelson explained the reason that chemotherapy fails against advanced cancers is the level of the doses given. The high dose necessary to completely wipe out the cancer would be lethal to the patient. Treatments typically are given in lower doses, and in cycles that allow the normal cells to recover. The approach can’t kill all the tumor cells, and the ones that survive become resistant to subsequent rounds of anti-cancer therapy, in part because of the WNT16B protein. Research for this study included help from the University of Washington, Oregon Health and Science University, the Buck Institute For Research on Aging, and the Lawrence Berkeley National Laboratory. It was part of a federally-funded SPORE Grant from the National Cancer Institute. 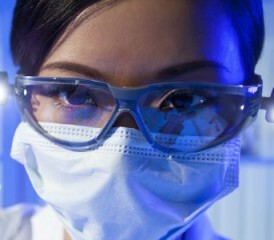 A SPORE Grant never has been awarded exclusively for mesothelioma research, although that is expected to change later in 2012. “This study is an example of collaborative translational research that capitalizes on years of federally funded investments into the development of tissue banks and clinical trials,” Nelson said.